…Casanova starts the incantations, a storm begins to rumble overhead. As he reaches the climax of the ceremony, the storm crashes ahead and lightning throws down its barbéd forks. This makes him think twice about what he his up to, so he makes amends and scarpers to Naples. On the way, he meets an old Hungarian officer who is accompanying a young French soldier - who is clearly a woman in a uniform. The two cannot converse and mainly make do with sign language, so Casanova lends a hand. Naturally he falls in love with the young French woman. He makes plans to steal her away from the officer in Parma, but, in his translation duties, discovers that she wants to leave him in Parma anyway and that he is resigned to it. When they arrive at Parma, Casanova steps in as a gentleman and escorts the lady to a shared house. Here name is Henriette - if you watch the BBC adaption of Casanova with David Tennant, she is the love of his life. They do indeed set up home and Casanova talks about them living ‘as married’ and the time being one of the happiest he ever enjoyed. But there’s a problem. Henriette is on the run from her family in France and Parma is under heavy French control and influence, so it’s not long before she has to leave Casanova behind and return to them. She scratches a command in the window for him to forget her and he proceeds to cry for several days. In his weakness, a man manages to convert him to sober and religious life. He then finds out charges in Venice against him have been dropped so he returns to his patron, Bragadin’s house and falls back to his old ways. With friends at home and money in his pocket, Casanova naturally buggers off to France and has fun. There he is shocked and pleased by the louche-ness, makes a few faux-pas with the language and learns the phrase ‘je ne c’ext quoi’. He has a few flings, pimps for Louis XV, fakes himself a master of cabbala and makes a bunch of friends before moving onto Dresden, Vienna and then back home to Venice. Where this volume started with a love of his life, it also ends with one. A disreputable friend of his has a gorgeous, young sister he falls in love with. Her father is a respectable merchant who has banished the disreputable son and wouldn’t countenance Casanova as a suitor but he falls head over heels, arranges the necessary false names and hideout, then proceeds to a common-law marriage. 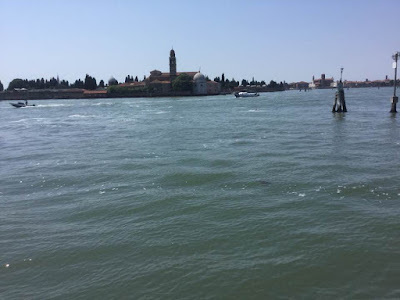 She is taken away and ensconced in a nunnery on one of the other islands in the Venetian Lagoon and he arranges a system of secret letters and a ring that has a secret trap-door in it that contains a picture of his face. Thus we leave him, longing for his ‘wife’ with her brother trying (and failing) to hoodwink him. I found Casanova more likeable in this volume then the other ones. His violent, even murderous impulses are less (though I do recall him waving a pistol around and shooting at stableboys at one point) and his romances seem less like flings and more like the proper love he always claims it is. Slightly more queasily, some of these loves are thirteen/fourteen at most and that is a rather icky area it might be best to chalk up to different cultures (though still quite unpleasant to realise). It was also a pleasure to be reading Casanova in his beloved Venice, even if he didn’t get to spend much time there, and even if I hadn’t got to the famous bit of him escaping the ceiling-jails of the Doge’s Palace. That escapade happens in volume four - and I shall be sharing it with him at some point soon-ish.